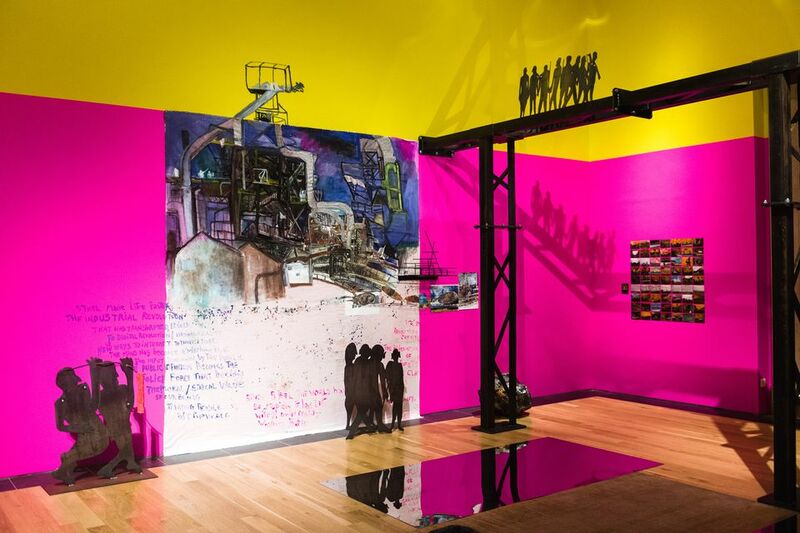 Meteors made of chicken wire and papier-mâché are joined by silhouettes of workers cut from steel in a bright yellow, pink and blue gallery greeting visitors to this year’s Artes Mundi 8 exhibition (until 24 February 2019) at the National Museum Cardiff. 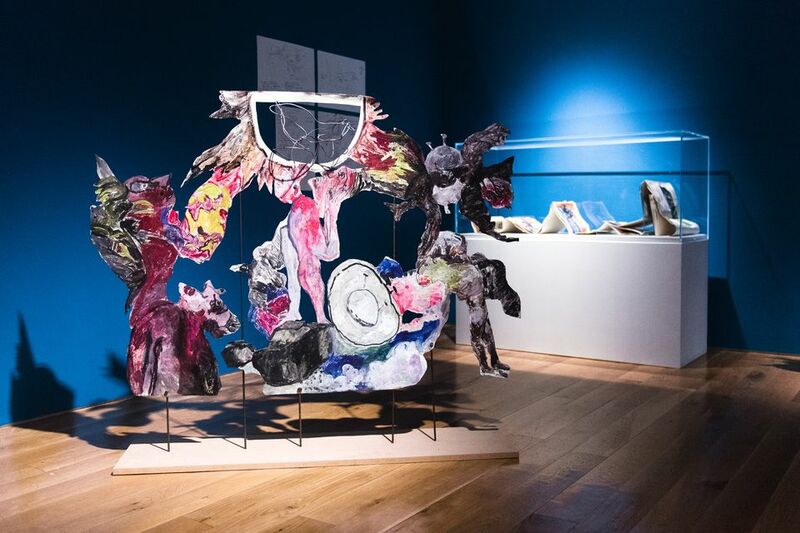 The installation, by the Canadian-Egyptian artist Anna Boghiguian, sets the political tone for the exhibition of five international artists shortlisted for the UK’s biggest art prize. The artists are “dealing with pertinent contemporary issues that affect us globally,” says the Artes Mundi director Karen MacKinnon. And it is “a very positive show about citizenship”, she says. Adding that while is political, it is “politics with a small ‘p’”. The winner of the £40,000 prize will be announced on 24 January 2019, selected by a judging panel that includes the international editor of Art Review, Oliver Basciano; the deputy director of the Mori Art Museum, Katoaka Mami; the independent curator, Laura Raicovich; and the creative director of g39 gallery, Anthony Shapland. While the UK might be an island, it is intricately linked to the industry and politics of the wider world and Boghiguian’s installation, A meteor fell from the Sky (2018), uses the steel industry and in particular the nearby Port Talbot steelworks as a way of exploring this. The coastal town houses the UK’s largest steel plant and one of the biggest in Europe but recently hit the headlines after the owners Tata Steel restructured the pension schemes of current and former workers, leaving many out of pocket. 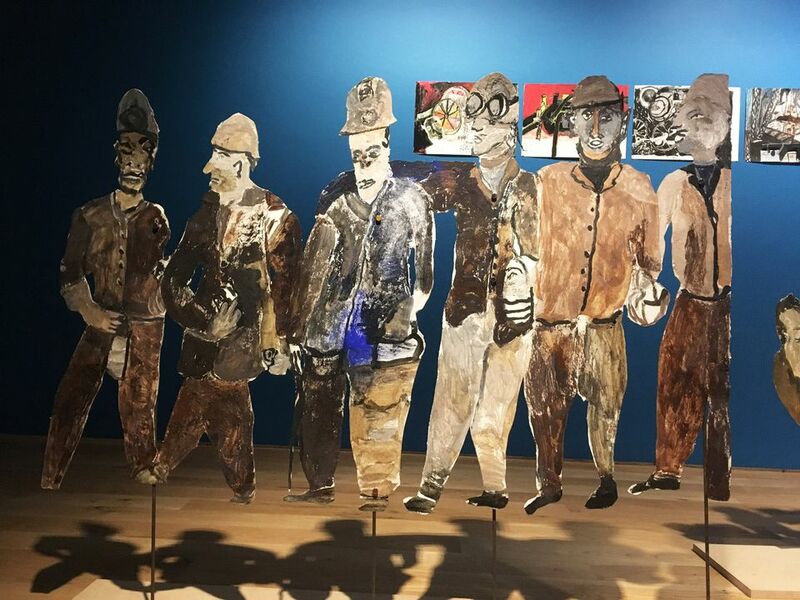 As well as the steel silhouettes, Boghiguian’s installation includes her signature paper cut-outs with rows of dirtied workers in hard hats. One of her scenes shows workers during their downtime, reading and playing cards, while another shows them protesting, with one placard demanding “better pension plans”. “Steel is the [UK]; the industrial revolution”, Boghiguian says. Her installation includes steel girders from Port Talbot and photographs she took during site visits, she says. Boghiguian adds that you get “to see the whole industry there”, from the furnaces to the ships bringing in the iron ore. 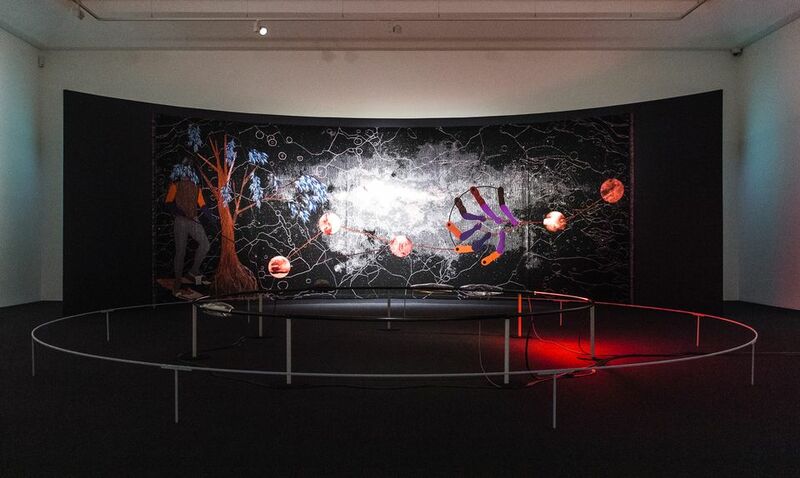 The installation also references worker uprisings in India and the recent trade wars between Donald Trump’s US administration and China, which focused on steel imports. The Moroccan-French artist Bouchra Khalili’s new film Twenty-Two Hours (2018) tells the story of how in the 1970s the French novelist Jean Genet joined the Black Panthers in the US to support their struggle. 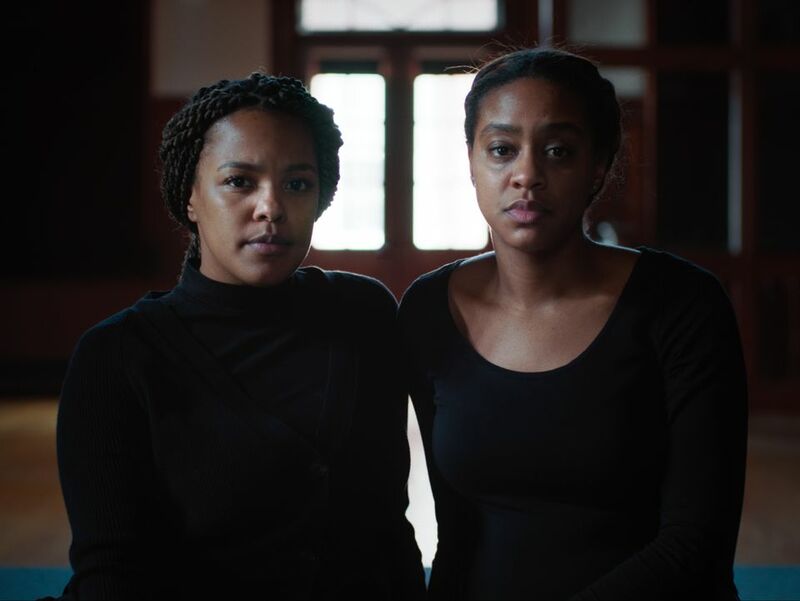 The story is told by two young African-American women interspliced with old news footage and photographs from the time. 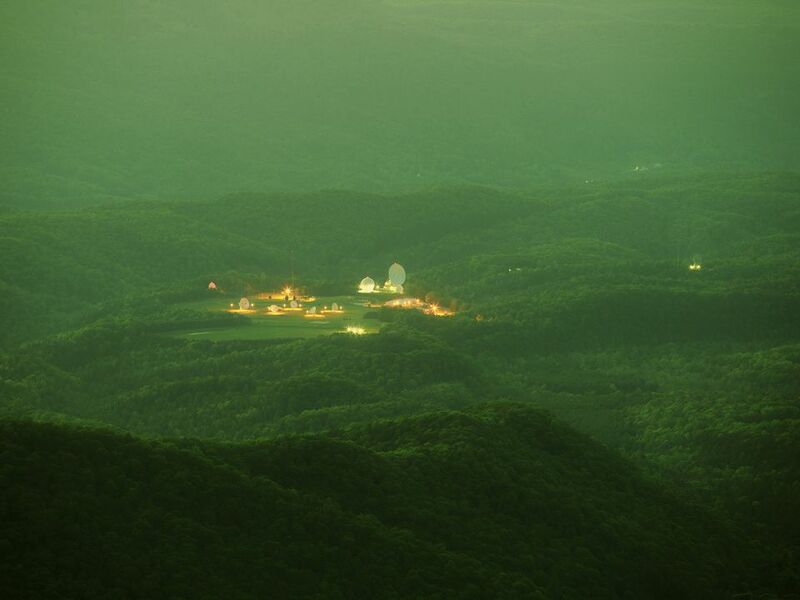 The US artist Trevor Paglen presents works from two ongoing series, Limit Telephotography (2005-ongoing) and The Other Night Sky (2007-ongoing). In the former, Paglen was able to photograph areas ordinarily restricted to regular civilians, such as covert military bases, by using high powered telescopic lenses; while the latter series documents and tracks military satellites and other objects in the Earth’s orbit. The Nigerian artist Otobong Nkanga is showing two new works, a tapestry titled Double Plot (2018) and a sculptural work titled Manifest of Strains (2018). The latter contains several components that act on a large circular rail: one section glows red hot, another has a rock that is hovering thanks to electromagnets, while other sections are enveloped in different corrosive liquids. Nkanga has made sure that not all the elements are revealed at once. “You’re meant to look for it,” she says. 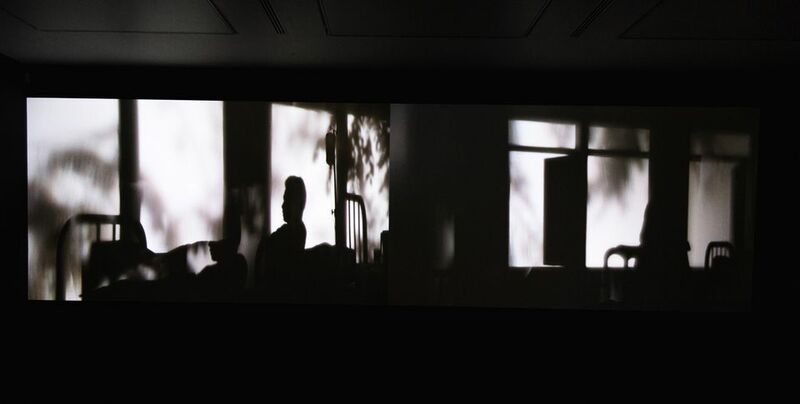 The Thai artist and filmmaker Apichatpong Weerasethakul’s Invisibility (2016) makes its UK debut in the show. The silent film—soundtracked instead by the shutters opening and closing on the projectors— is set across two screens, showing scenes where the protagonists live in a dreamy world of monochrome silhouettes, playing with ideas of memory.